I feel like I had a lifetime of storms in one day on Wednesday. The day started at around 3 or 4 am with the power going on and off (with the beeping each time) until it finally went off for good. Then the tornado sirens started so I had to get up. I have ham radios and scanners so I knew there were a lot of trees down and a few roofs had blown off. By this time, the power is still out and no phone service either so I get dressed in the dark and head out to work and to search out some coffee. It was the other side of river before I found some electricity so I could stop and get coffee. At least around here, once the initial part of the front moves through, you don’t have to worry about tornados. Not this time. While I’m driving to work, the radio says what’s coming will be worse. It seems like I heard that all day long. 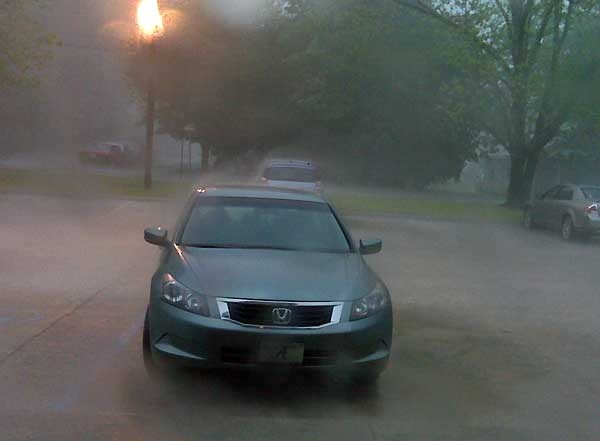 There were two more tornado warnings once I got to work. Phone service and cell phone service was wonky at best (it still is). By noon, we decided that we would close down for the day. But then it started looking a little better and we almost felt silly going home early. The sun even came out. It turns out the sun coming out was a bad sign. It was this last wave of tornados that did the most damage in our area. Around 4 pm the tornados start again. This time they leveled several towns in our area and some other communities around Huntsville. I got off easy with just loss of power and phones for a while. Many others did not. A friend lost her aunt and uncle in the storms. Some people who drive through those areas to get to work said they got lost coming in because all of the usual landmarks are gone. People in the Huntsville area and some other areas will be without power for several days. Check out this graph from the NOAA Storm Prediction Center. The red dots are tornado reports (not confirmed by NOAA). See the dots that come together in a blob in the very northern part of Alabama. Over towards the western edge of the blob, that’s where I’m at. By the way, the Storm Prediction Center has lots of cool information. It’s worth checking out if you live in a storm-prone area. So we’re all a little stunned here in north Alabama today. 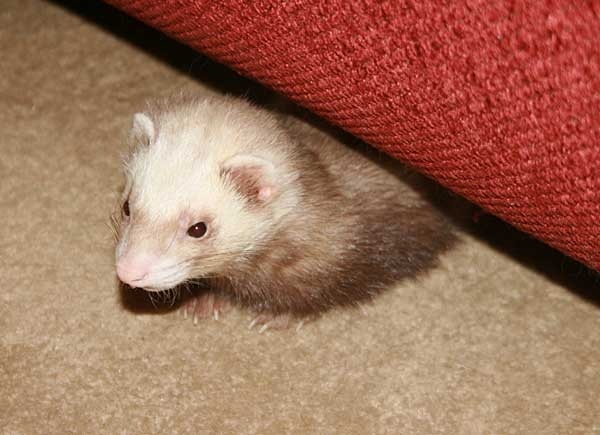 The ferrets didn’t mind the storms but Katie spent a lot of time under the bed. Since I’m off work tomorrow, I plan to go out and buy a few supplies to donate. I hear that socks and underwear are in big demand. Our beautiful spring weather seems to be coming with a price, stormy weather in between the spurts of nice weather. Luckily, we haven’t had the tornados that other areas have had. Still we’ve had plenty of rain and lightning. One thunderstorm took out our internet for almost a week. It was one of those lightning strikes that woke me up in the middle of the night. I knew it didn’t hit the house, but I also knew it was very close. Then AT&T broke the internet for a good portion of northern Alabama. I was only down for about a day, but a number of other customers were down for several days. But everything is back to normal now and I should be good at least until the middle of the week when the storms start again. So how about a little bluebird of happiness. The bluebirds have built a nest in the nest box again this year. So we should have baby bluebirds soon. Here’s dad keeping an eye on things. I haven’t straightened up my tiki torches from the storms yet, but it doesn’t seem to bother him. I also spotted the first hummingbirds the other day. 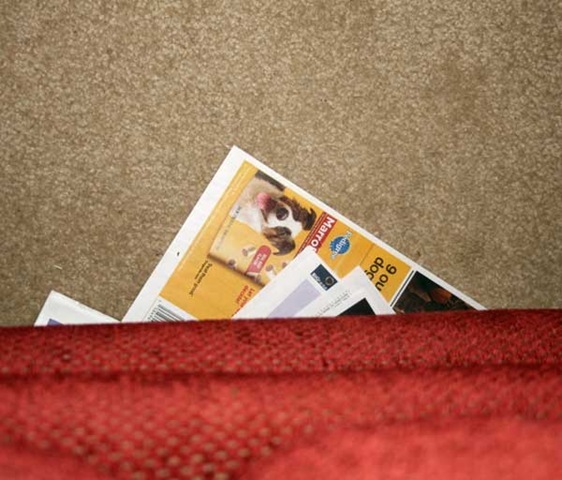 I’ve also been trying to do a bit of spring cleaning and getting rid of some stuff, especially some magazine I haven’t looked at in years. It’s going slowly but progress is progress, right? 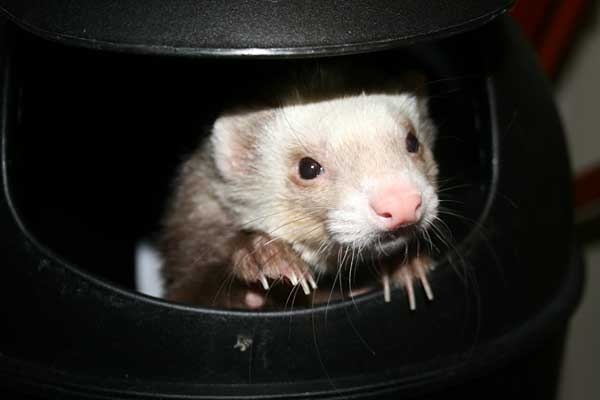 Dexter spends more time cleaning his paws than any of the other ferrets. When I put them up at night, that’s the last thing he does. Since today is the first day of spring, it seems like a good time for a random list. – We’ve gone from cold and snowy to warm and very wet to a gorgeous weekend with sun and highs near 80 today. This also means everything is starting to bloom, including everyone’s allergies. So we’re a happy but often sneezy bunch here in north Alabama. 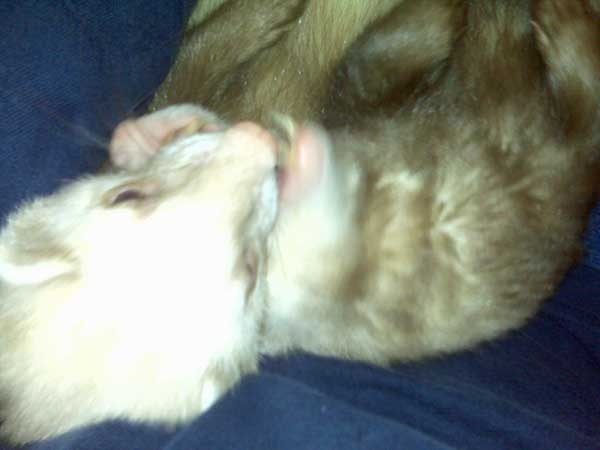 Even the ferrets are sneezing. 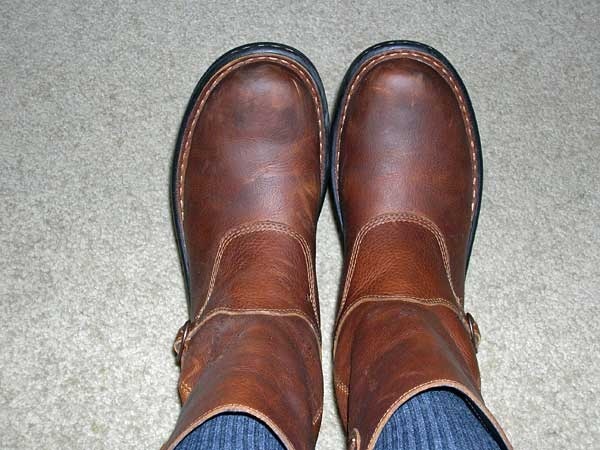 – One of my best purchases this winter was a pair of boots I bought with some of my Christmas money this year. I wanted some leather boots that were well-made but comfortable (no high heels), plus I didn’t want to spend a lot on them. One night as I was coming home from work, I stopped at Tractor Supply, thinking I would look at their western boots on sale. Then I tried on these C.E. Schmidt women’s work boots and fell in love with them. They are so comfortable and they got a lot of wear this winter. – I don’t think I’ve ever seen a wild fox until this winter, and I saw two. One was at night standing along the road. The other one was dodging in and out of traffic on the way to work one morning. 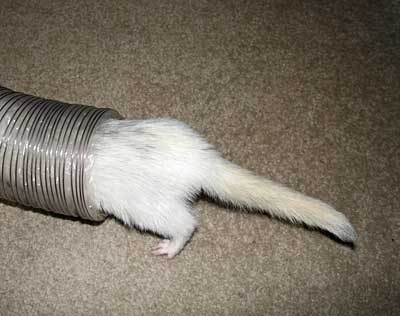 He’s a nimble little critter. I thought for sure someone would hit him but he made it safely to the other side somehow. – I actually started a pair of socks but something went wrong somewhere and I ripped them out. One of these days I’ll start them again. My knitting has been almost non-existent lately. 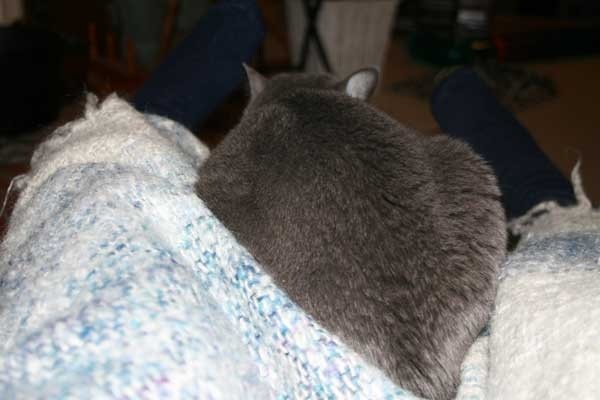 – The "cat" bed has been getting a lot of use lately. 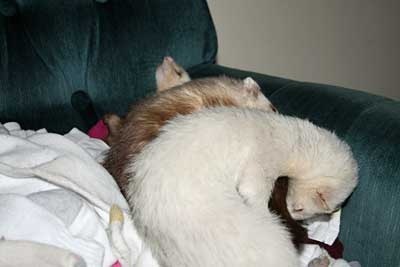 Katie and the ferrets seem to be taking turns sleeping in it. Lately it’s been Zoe’s turn. 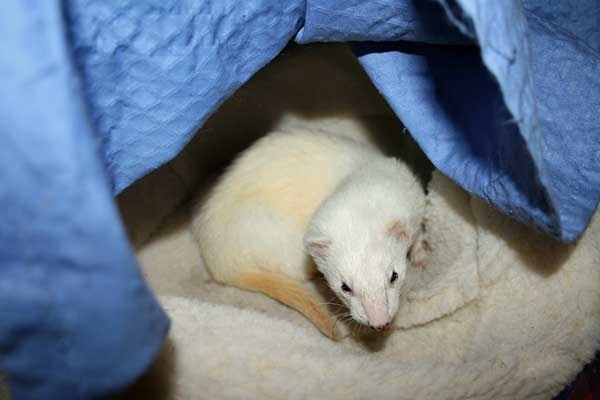 It’s hard to believe this same little grey ferret I got over 8 years ago. Now she’s white except for a few black hairs here and there. "Mom, can you put the cloth back down so the light isn’t in my eyes? This is what it looked like driving to work last week. It’s a crappy cell phone picture but you get the idea. Another week, another snow fall. This time we only had about two or three inches. The roads were mostly clear except for a few miles of icy roads that would have made a nifty skating rink. 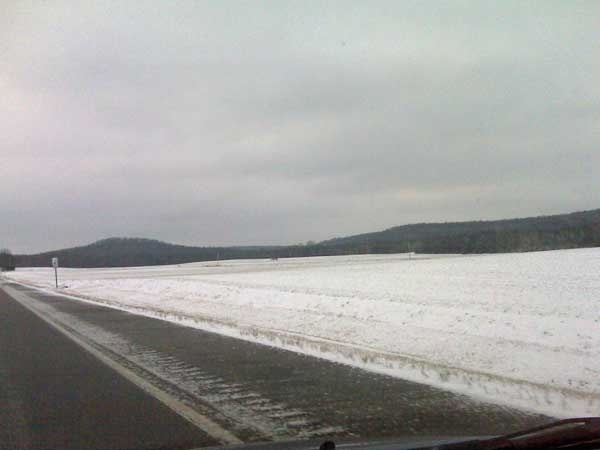 By afternoon, even those stretches of road were clear. That was Thursday. By this weekend, we had temperatures hovering around 60 degrees. It’s supposed to be in the 60s all week, getting close to 70 by the weekend. It’s been a wild winter. 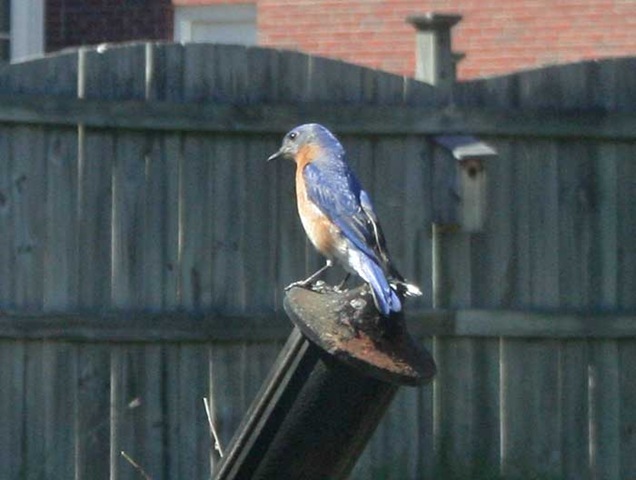 Since it was so nice this weekend, I washed all of the salt and snow dirt off of the car and checked to see if the bluebird houses were ready for spring. Then there’s Dexter. He’s had to hit new sources for his paper fix. The other day, I caught him running down the hall with a balled up piece of paper I had thrown away. Unfortunately I didn’t have a camera handy. 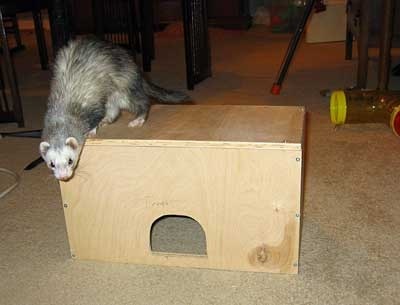 Now that I’ve put all newspapers and magazines out of ferret reach, he’s scouting out the trash for his paper fix. And yes, his nails have been trimmed now. They’ve been growing way too fast lately. I feel like I’ve been trimming them every couple of days. Actually at least two snow days for me. We’ve had a bit of snow here. What a nice New Year’s gift. 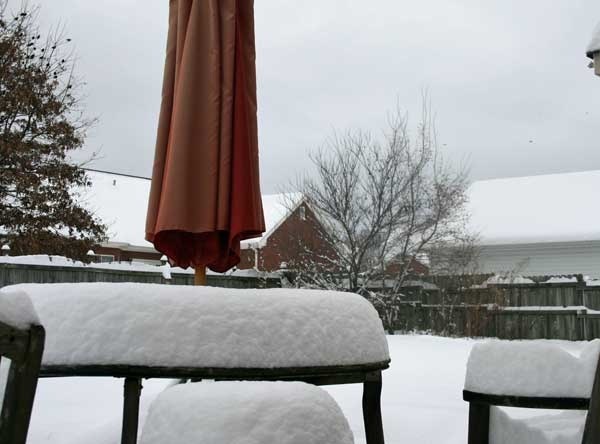 I measured close to 10 inches on the picnic table this morning. This is the south. There’s never enough equipment for clearing this much snow and the temperatures are staying below freezing until the end of the week. So lots of people in town had a day off today. 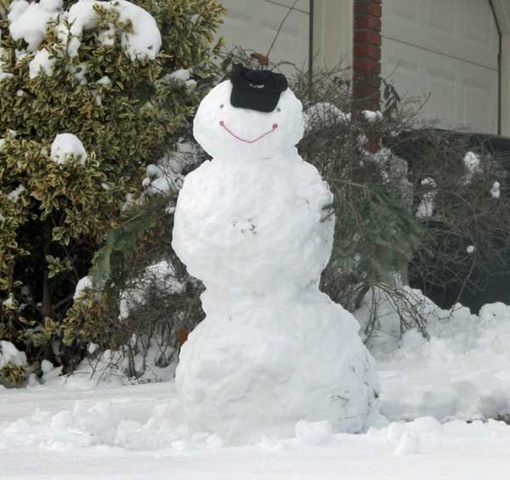 I made snow cream and built a snowman. Sorry it was too dark for a picture by the time I quit. Besides, I need to find him some eyes and a mouth. I’ll post a picture later. It was a fun day. Plus it’s allowing me some time to catch up on a lot of things, like blogging. The picture below cracks me up. 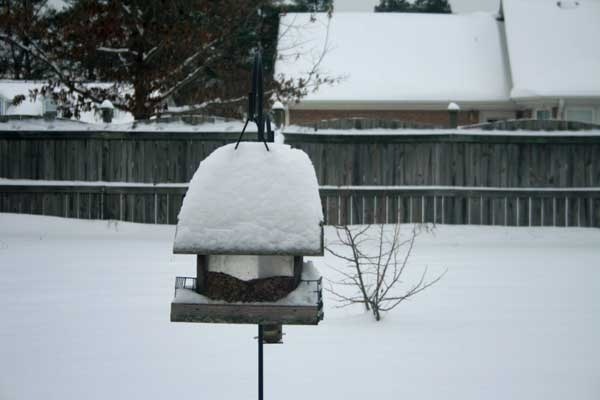 The snow on the roof of the bird feeder is taller than the bird feeder. 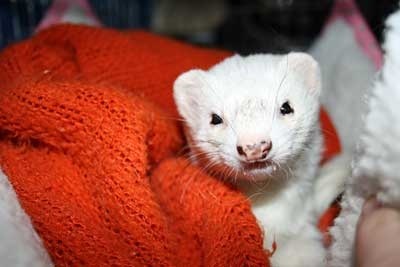 Katie and the ferrets didn’t share my enthusiasm for the snow however.